Tormentil is an indicator of acid soil, and it is a frequent find in most upland areas of Britain and Ireland. This wildflower is widespread and common throughout Britain and Ireland, and is found also across most of northern Europe. 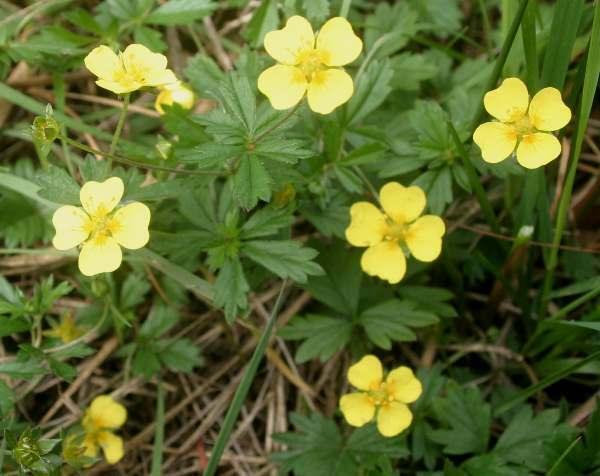 Tormentil is found in both dry and wet habitats but it is most common in areas of acidic or at least neutral soil. This wildflower does not thrive in strongly alkaline areas such as chalk downland, although we have photographed it in the Triglav National Park in Slovenia, an area which is predominantly limestone. This wildflower is particularly common on rocky mountain slopes and beside upland streams on the western side of Britain. Tormentil is also commonly seen on moorlands and even in some lowland meadows. In Britain and Ireland you will see plenty ofthese pretty little summer wildflowers from June right through until the end of September. 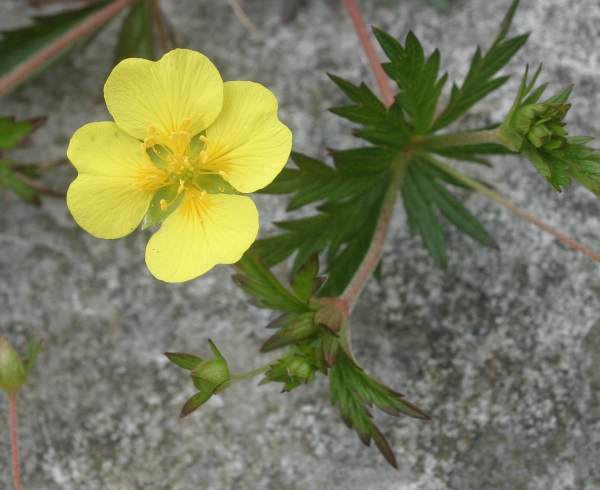 As with other Potentilla species, the high tannin content of this plant has been exploited in herbal medicines. The roots of Potentilla erecta have also been used in the past to produce a dye for reddening leather. Tormentil Red, as the dye is called, was also the basis of a red ink. Potentilla, the genus name, means 'powerful, despite its small size' and is a reference to the claimed medicinal value of plants in this genus. The specific epithet erecta means erect or upright. 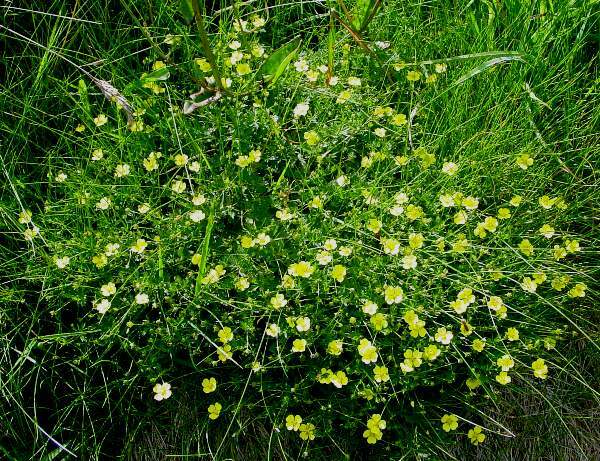 Creeping Cinquefoil Potentilla reptans is similar but its flowers have five petals. Silverweed Potentilla anserina has larger yellow flowers with five petals; its leaves are not palmate. The Tormentil plants shown on this page were photographed in West Wales during June.